I’ve recently started going to a dietitian – honestly that’s an entirely different post as to why – coming out of my visit my “homework” was to plan my breakfast for the week. 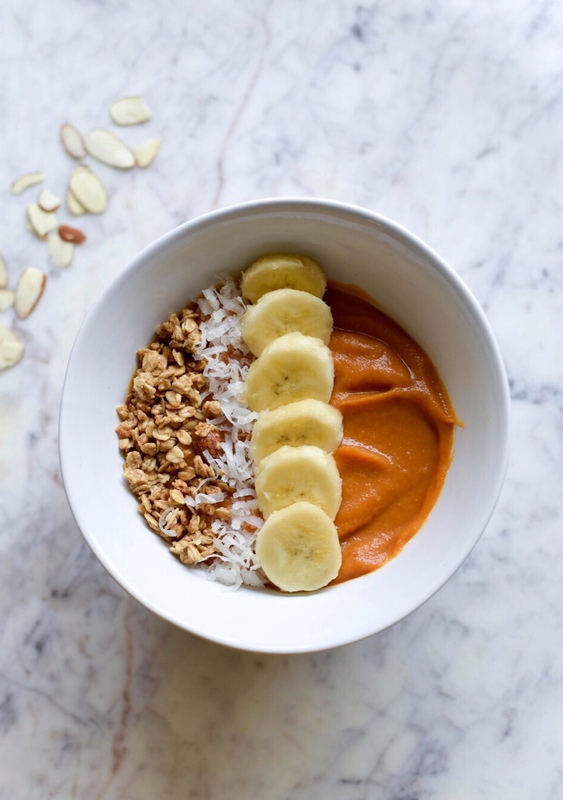 This week, I decided to try this smoothie bowl after Hannah Bronfman recently mentioned on her Instastories that she made one and it was amazing. Inspired and naturally a huge fan of sweet potatoes, I decided to try one for myself – my own way. Here’s what I came up with, and I won’t lie…it’s GOOD! 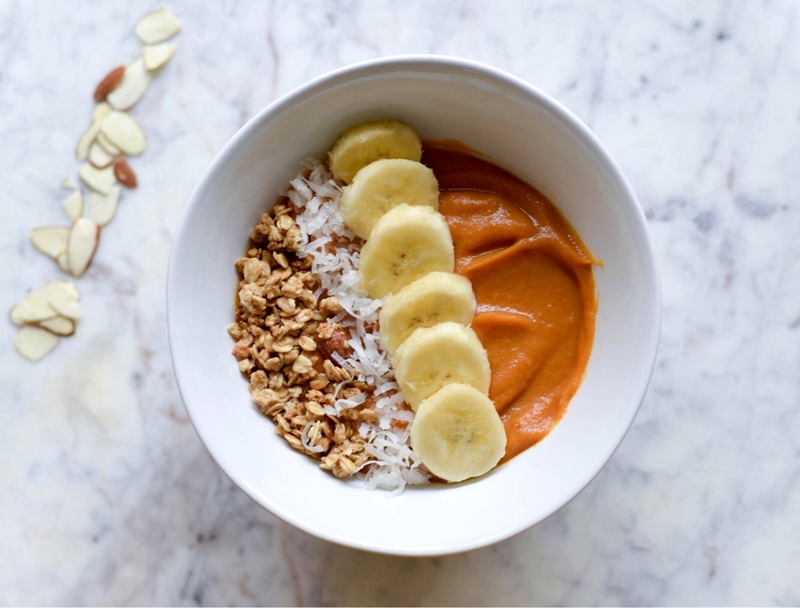 Remove the skin from your sweet potato, cut your sweet potato, and place in the blender – Add cinnamon, coriander, pitted date, and almond milk. Blend until it becomes a smooth like a puree. 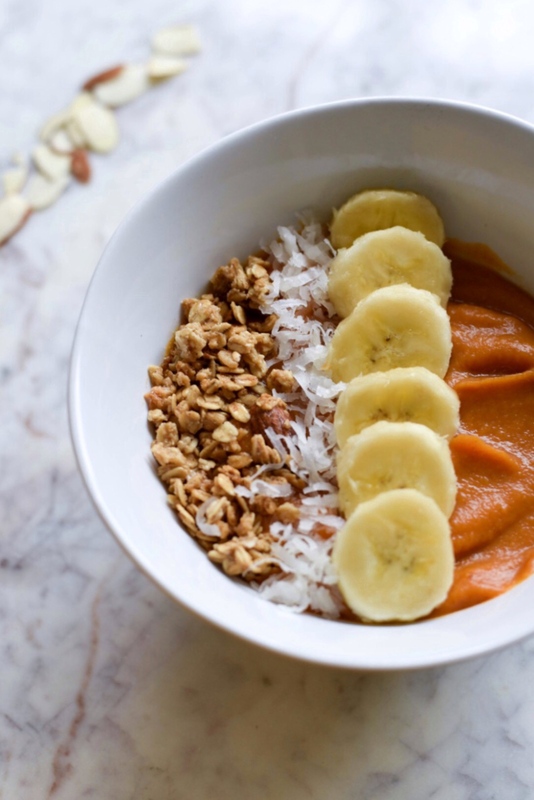 Place bananas, coconut flakes, and granola on top. Enjoy!